Part of aging is a slow decline in motor skills, response time, and hand-eye coordination. These factors can combine to make driving more challenging. Although some seniors are able to continue driving well into their later years, most of us will eventually reach the point when it’s time to put down the keys. Driving a vehicle is an inherently challenging task that involves numerous simultaneous operations. Drivers must be able to make snap judgments and react quickly to multiple factors at once. It is simply a fact of life that the ability to handle these challenges declines as old age sets in. The danger for driver and for others on the road can get frightening, fast. Here are some things to consider if you, or someone you love, may be reaching that point. Ohio does not have a mandatory age at which seniors must stop driving. So long as a driver can pass some basic vision tests, the law leaves it up to each individual (and his or her family) to determine when it’s time to let others do the driving. With this in mind, drivers need to approach the issue with an open mind and an honest conversation. Losing the ability to drive can be a challenge for seniors, and some may tend to resist this change. There are transportation options available, more than ever before! If you have a senior loved one who is approaching the point of being an unsafe driver, help him or her to understand that this is simply a part of life. The vast majority of people simply will not be able to drive indefinitely. You may wish to enlist the help of your family doctor in having this conversation. He or she may be able to explain to your senior loved one the medical side of things. 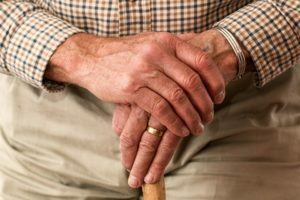 Above all, make sure that your elderly loved one understands that you care about his or her safety, and you will be there to help him or her through this transition. Just as it is our responsibility to drive safely, pay attention, drive sober and drive alert, it is also our responsibility to ensure we have the physical capabilities to safely operate a vehicle. Having a conversation can be a scary thing, but better to have a tough conversation now, than to receive a call about a tragic event later! All too often we hear the stories of “gas pedal and brake mistakes” with terrible outcomes. If you or someone you love was seriously injured or killed in a car accident, call NRS Injury Law today for a free case consultation. There is no fee unless we win, and we have the experience and compassion when our clients need it most.